A leading Neapolitan cancer researcher is under criminal investigation for fraud, the Italian press is reporting. Although we have only rough translations of the story, it seems the researcher, Alfredo Fusco, of the National Council of Research’s Institute of Experimental Endocrinology and Oncology, has been accused of manipulating images in published studies and to strengthen the case for grants from the Italian Association for Cancer Research (AIRC). The case covers eight papers published between 2001 and 2012, according to the media reports. We don’t know the specifics of the eight articles, nor why none appears yet to have been retracted. In our experience, the criminal inquiries usually follow the expose of scientific misconduct, not the other way around. Fusco’s work is highly cited, with some 50 papers cited at least 100 times, according to Thomson Scientific’s Web of Knowledge. The research group coordinated by Professor Alfredo Fusco has identified the CBX7 gene in a screening of a microarray with RNAs extracted from normal human thyroid primary cell culture and six human thyroid carcinoma cell lines of different histotype. The expression of the CBX7 gene is conspicuous in a normal thyroid cell line, but is absent or very low in all the cancerous cell lines. Previous studies demonstrated a deletion of the chromosomal region 22q13.1, where the CBX7 gene is located, in ovary, breast and colon carcinomas, characterized by an aggressive behaviour, suggesting the CBX7 gene as a candidate tumor suppression factor involved in the progression step of carcinogenesis of several neoplasias. In addition, CBX7 is involved in maintaining the transcriptionally repressive state of genes modifying chromatin. The aims of this project are: a) to evaluate the expression of CBX7 in several huan neoplastic diseases and correlate ot with the clonico-pathological status of the patients; b) to define the role of CBX7 in the process of thyroid cell transformation; c) to identify the genes regulated by CBX7; d) to investigate the mechanisms by which the CBX7 protein is possibly involved in the process of carcinogenesis; e) to generate and characterize null mice for the CBX7 gene. The High Mobility Group A (HMGA) nonhistone chromatin proteins alter chromatin structure and, thereby, regulate the transcription of several genes by either enhancing or suppressing the activity of transcription factors. This protein family is implicated, through different mechanisms, in both benign and malignant neoplasias. Rearrangements of HMGA genes are a feature of most benign human mesenchymal tumors. Conversely, unrearranged HMGA overexpression is a feature of malignant tumors and is also causally related to neoplastic cell transformation. In our project we will investigate the mechanisms by which the HMGA genes contribute to carcinogenesis by identifying genes directly or indirectly regulated by HMGA and the proteins that physically interact with HMGA. The objectives of our project are: a) identification of the HMGA targets: isolation and characterization of the microRNAs (miRNAs) regulated by the HMGA proteins; b) definition of the role of the HMGA1 proteins in cancer progression by the identification and characterization of the interacting proteins; c) analysis of the HMGA-HIPK2-p53 pathway since previous studies of our group have shown that the p53 tumour suppressor activity may be impaired by the interaction of HMGA with p53 and/or the delocalization of HIPK2 induced by HMGA overexpression. 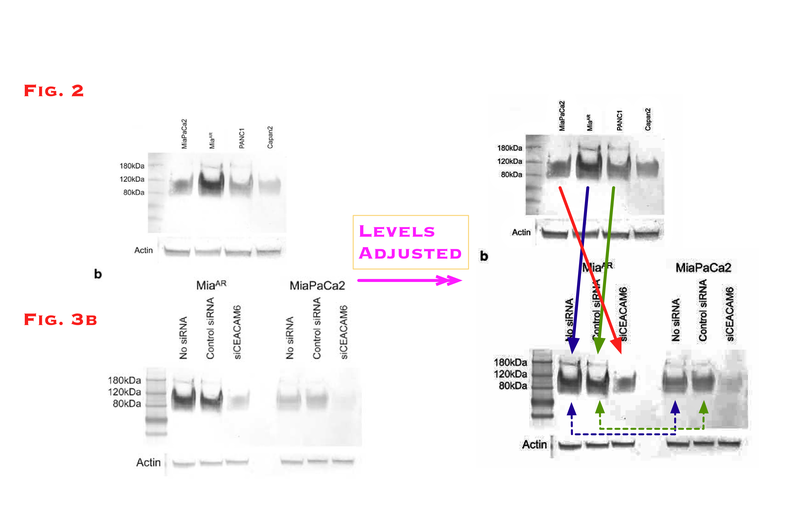 Moreover, we will investigate the role of this pathway on the regulation of Bcl2 expression as suggested by our preliminary data and by the presence of AT-rich regions in the Bcl2 promoter region. Thanks to Fabio Turone for translation help. The US PHS should follow their lead! If more of these (prosecutions) were to happen, followed by civil lawsuits taking the offenders personal wealth (and future earning thru book deals etc), the less of the need for retractions by others. the Attorney General’s Office failure to prosecute them..
manufacturing or manipulating the data or photoshopping an image.or two. Ed, could you please provide full details of the “sham” part and also indicate how you know so much about the finances of ORI to be able to comment on the waste of tax-payer’s money. Please provide a dollars and cents analysis for the general scientific public to appreciate the facts. Following the scandal of Fast and Furious, how is one to expect accountability by the Attorney General’s Office and Eric Holder? Finally, it might be worthwhile indicating any papers, literature or web-sites that have been published criticizing the ORI. I think your one-sentence comment holds volumes of information and I suspect that we may not get transparent answers from ORI. I will be posting a nice video documentary detailing a specific case of tax payer funded waste, fraud and violation of research codes for treatment of research participants. It is an ugly commentary on JAMA, ORI,and Harvard. This will be on youtube at the after the turn of the year. If you are interested please email:hipsavers@msn.com and you will receive a link when available. And again I ask, how much money should be taken away from research to fund these cases? Except in exceptional circumstances you wouldn’t win one of these cases. There are several insurmountable hurdles. 1) The amount of money at stake is not even pocket change to large cases of fraud, waste and abuse in government contracts. Even if successful it would cost 5 times as much to recovery the money. 2) Prosecution for fraud won’t work because the universities (or other organizations) will be able to show, in detail, that the government money was used for what it was supposed to be used for (salaries and supplies for a certain project). 3) You will never get a judge or jury to understand the scientific and technical points that expose the fraud. The best you will get is dueling expert witnesses saying opposite things. 4) The defense will be that the investigator thought and believed all statements were true at the time of writing. Any mistakes were regrettable but unintentional. There is zero chance of proving that this was not the case. 5) For things like image manipulation the defense will be that they were trying to make the data more clear and easy to understand. They will claim that all the experiments are perfectly valid and it was only their unfortunate lack of talent in documenting and producing the figures that has led to the claims of fraud. There is zero chance of proving this to be untrue as well. You bring up some valid points concerning the prosecution of these cases and fraud/embezzlement, can be very confusing but defense attorneys will try ANTHING to confuse and baffle a jury. I was not talking about prosecuting or suing universities but the people within the system. Its the job of the prosecutor to explain the case (my example is DNA test/comparison) a jury does not need to know why things happen, just that they did (exception is in capital cases, which determines the degree i.e. 1st vs 2nd vs manslaughter). If the cost of prosecution is an issue why prosecute anyone, does the bank robber have money, is the cost of prosecution too high, not to mention incarceration, we prosecute to set an example, “don’t do bad stuff”. Most of these cases could be handed to a prosecutor all wrapped up, because of all work done by ORI and the universities themselves. Just think of the dollar amount involved in fraud in research. The total amount of just federal monies in grants NIH (30), DOJ (5),DOD(25) etc is in excess of 60 Billion dollars (DOD might be higher but a lot of money is hidden). Using figures I have read about fraud in research on Retraction Watch varies from 1% to as high as 9% but i will use the low number of 1%, that comes to 600 MILLION dollars, that a lot of money to just say good bye too and think about all the good research that didn’t happen because the money went to a fraud. Businesses/individuals are REQUIRED to report all types of other crimes including fraud. I have seen too many cases that were kicked to the curb by universities and nothing happens to the people involved (they are allow to retire, resign etc.) It will blow up, if it is allowed to continue by the university/lab, just look what happened to Penn State, to do nothing will encourage the behavior to grow. Consider how you would recover this money. One grant might be 1.5 or 2 million dollars. A front line Justice Department lawyer probably makes about $150K per year. That’s maybe $450K fully loaded. A complex scientific misconduct case might require 5-6 man-years of effort. That will equal or exceed the value of the original award. You can expect universities and other organizations to defend any such action vigorously. And I’m sure any prosecutor will advise that such cases are unwinnable. Scientific misconduct isn’t like commercial fraud. No one is stealing or misdirecting money. All organizations can show exactly where grant money has gone and it will have gone to the exact things it was intended to. It will have gone to the salary of the graduate students and postdocs who were enumerated on the proposal. It will have gone to the supplies that the university can prove it purchased. The equipment will have been tagged and accounted for. The defense will be iron-clad: no fraud was committed and we can show where all the money went. The monies do not come from the same budgets. Visconti R, Cerutti J, Battista S, Fedele M, Trapasso F, Zeki K, Miano MP, de Nigris F, Casalino L, Curcio F, Santoro M, Fusco A.
Dipartimento di Biologia e Patologia Cellulare e Molecolare c/o Centro di Endocrinologia ed Oncologia Sperimentale del CNR, Facoltà di Medicina e Chirurgia, Università degli Studi di Napoli Federico II, Italy. I thought this was very subtle. with lanes 2 (ARO),3 (NIM) and 4 (FRO) of figure 1c. Please compare lane 7 (HTC 1) figure 1b with lane 1 (HTC-1) of figure 1a. Please compare lane 8 (B-CPAP) figure 1b with lane 3 (NIM) of figure 1a. Pero R, Palmieri D, Angrisano T, Valentino T, Federico A, Franco R, Lembo F, Klein-Szanto AJ, Del Vecchio L, Montanaro D, Keller S, Arra C,Papadopoulou V, Wagner SD, Croce CM, Fusco A, Chiariotti L, Fedele M.
Dipartimento di Biologia e Patologia Cellulare e Molecolare, Università di Napoli Federico II and Consiglio Nazionale delle Ricerche (CNR), Naples, Italy. Figure 6 is most important. Figure 1B. Little variation in the background signal. Cell lysate Immunoblot Myc panel. The band in the left lane has a horizontal, straight top and a vertical, straight right edge. The band in the middle lane has a vertical, straight right edge. Figure 2A. The bands are near rectangular. Figure 2D. BCL6 panel. There is a thin,vertical, grey streak between the middle and right lanes. Figure 6c BCL6 panel. Please compare the signal in the left 2/3rds of the left-most lane in the BCL6 panel of figure 6c with the signal in the right 2/3rds of the 2nd lane in the same panel. Alpha-tubulin panel. Please compare a-tubulin band in lane 6 with a 180 degree rotation of a-tubulin band in lane 5. Please compare the band in lane 7 of a-tublin panel figure 6c with a 180 degree rotation of the band in lane 4. Please note the internal dark markings. Vertical, light streaks between lanes 2 and 3, 4,5,6, and 7. PATZ panel. Light, vertical streaks between lanes 1 and 2, 4,5,6, and 7. A 2014 correction has been published for this paper. Palmieri D, Valentino T, De Martino I, Esposito F, Cappabianca P, Wierinckx A, Vitiello M, Lombardi G, Colao A, Trouillas J,Pierantoni GM, Fusco A, Fedele M.
Figure 1B. IP alpha-V5. PIT1 panel. Are the bands in the left and right lanes really different? HMGA2 panel. Vertical light streak/vertical change in signal between lanes 1 and 2. There are light, vertical streaks to the right of the bands in lanes 5,6 and 6. The bands in lanes 5 and 6 are likely the same. Please note the small bump on the upper surface of the bands about 2/3rds the was along from left ot right. The bands in lanes 2 and 8 are likely the same. The recorded treatments are different. Figure 2C. There are vertical, straight changes in signal between lanes 1,2,3 and 4. Chiappetta G, Tallini G, De Biasio MC, Pentimalli F, de Nigris F, Losito S, Fedele M, Battista S, Verde P, Santoro M, Fusco A.
GAPDH panel. The lanes have been likely spliced together as triplets. You can see the repeats in the bands. 1-3, 4-6, 7-9, 10-12, 13-15. Fra-1 panel. Lanes are repeated as doublets which rotate by 180 degrees every 2 lanes. 6 and 7 , (rotation) 8 and 9, (original orientation) 10 and 11, (rotation) 12 and 13, (original orientation) 14 and 15. You can follow the rotations by the change in position of the distinctive background stain on the membrane around the bands, and also by the light bubble which you can see just to the left of the lowest part of the underside of the band in lane 7.
the lower panel (2) corresponds to the actb panel figure 1C J Clin Invest. 2012 Feb 1;122(2):612-23. Some help is needed from Scruntineer. A correction has been published for this paper. J Clin Invest. 2012 Feb 1;122(2):612-23. CBX7 is a tumor suppressor in mice and humans. Forzati F, Federico A, Pallante P, Abbate A, Esposito F, Malapelle U, Sepe R, Palma G, Troncone G, Scarfò M, Arra C, Fedele M, Fusco A.
Istituto di Endocrinologia ed Oncologia Sperimentale del CNR, Dipartimento di Biologia e Patologia Cellulare e Molecolare, Facoltà di Medicina e Chirurgia, Università di Napoli Federico II, Naples, Italy. Battista S, Pentimalli F, Baldassarre G, Fedele M, Fidanza V, Croce CM, Fusco A.
Dipartimento di Biologia e Patologia Cellulare e Molecolare c/o Centro di Endocrinologia ed Oncologia Sperimentale del CNR, Facoltà di Medicina e Chirurgia, Università degli Studi di Napoli Federico II, via Pansini 5, 80131 Naples, Italy. The figures are at the end. Figure 1A. There is a straight, vertical discontinuity between the -/- lanes. It helps to tilt the screen far back to see this. Large parts of the -/- lanes are grey and smooth. This is unlike the background anywhere else in the panel. Do the -/- cells exist? Figure 1B. Just to the left of the band in the 2nd lane, i.e. between the C and the first -/- lane there is a short, straight vertical line. Between the the lower bands in the -/- R1 and -/-R2 lanes there is a vertical darker area. This is not normal. There is a less well pronounced vertical, darker area between the lower band in the -/- CMV and -/-R1 lanes. There is a vertical, darker area to the left of the upper band in the -/-R1 lane. Note that the upper bands in the -/-R1and -/-R2 lanes are not quite level. Figure 3. Small panels without markers can be of anything. Figure 3B. GATA-3 panel. Suspect splicing between the +/- and left-most -/- lanes. There is a lighter area between the bands. That is abnormal. Figure 3C. IL-6 panel. The band in the -/- lane looks the same shape as the band in the +/+ lane. Figure 6A. Zeta-globin panel. The background looks like electronic noise. BetaH1 panel. There are two broad, horizontal zones of darker background which go right across the panel and above and below the band in the -/-lane. Beta-major. The right edge of the band and the associated smear in the +/+ lane is nearly straight. Between the bands in the +/+ and -/-lanes there are some darker areas. Alpha-globin. It is less obvious, but there are traces of darker, vertical areas between the +/+ and -/-lanes. This is most noticeable at the bottom of the panel. GAPDH. The area between the bands is a bit daker than the general background. Figure 6B. Zeta-globin panel. It is odd that the band in the -/- 9.5 dpc lane is black, yet the 2 bands to the left of it do not show any black. It is unlikely that therse band would reach grey and then plateau. Beta-major panel. Suspect splicing between the 14.5 d.p.c +/-amd -/-lanes. The band in the -/- lane is larger than the band two bands to the left of it, yet the gap between it and its neighbour is clearer than the gap bwteen its 2 neighbours on the left. That doesn’t make sense. and between the 9.5 d.p.c -/- lane and the 14.5 d.p.c. +/+ lane. Mol Cell Biol. 2003 Jun;23(11):3774-87. Regulation of BRCA1 transcription by specific single-stranded DNA binding factors. Thakur S, Nakamura T, Calin G, Russo A, Tamburrino JF, Shimizu M, Baldassarre G, Battista S, Fusco A, Wassell RP, Dubois G, Alder H, Croce CM. Kimmel Cancer Center, Philadelphia, Pennsylvania 19107, USA. Figure 1G. Arrow pointing to a signal which is not very strong and which is diffuse. Figure 6A. The top band in lane marked as 4 does not line up with a band at the bottom. The 2 top bands on the left side (lanes marked as MCF-7 N.E. and Input) of the panel do line up with bands at the bottom. Figure 6D. Lane one has been spliced on. You can see a thin white line between the lanes at the very bottom and the top half of the border. Clin Invest. 2007 Mar;117(3):693-702. Epub 2007 Feb 8. High-mobility group A1 inhibits p53 by cytoplasmic relocalization of its proapoptotic activator HIPK2. Pierantoni GM, Rinaldo C, Mottolese M, Di Benedetto A, Esposito F, Soddu S, Fusco A.
Dipartimento di Biologia e Patologia Cellulare e Molecolare, Facoltà di Medicina e Chirurgia, Università degli Studi di Napoli Federico II, Naples, Italy. Figure 1D. HMGA1 panel. Please compare the bands in lanes 2 and 5. Please compare the bands in the figure 1A and 1B p53 panels. Please compare the bands in the figure 1A and 1B HMGA1 panels. Figure 3D. HMGA1 panel. Please compare the bands in lanes 2 and 6. J Biol Chem. 2011 Aug 19;286(33):29005-13. doi: 10.1074/jbc.M111.230854. Epub 2011 Jun 29. Homeodomain-interacting protein kinase-2 stabilizes p27(kip1) by its phosphorylation at serine 10 and contributes to cell motility. Pierantoni GM, Esposito F, Tornincasa M, Rinaldo C, Viglietto G, Soddu S, Fusco A.
Istituto di Endocrinologia ed Oncologia Sperimentale del Consiglio Nazionale delle Ricerche c/o Dipartimento di Biologia e Patologia Cellulare e Molecolare, Facoltà di Medicina e Chirurgia di Napoli, Università degli Studi di Napoli Federico II, via Pansini 5, 80131 Naples, Italy. One suggestion is to take a look at the papers. Here is a Pubpeer (unregistered submissions are vetted before they are posted) comment on a 1985 paper by A Fusco. Yes, remember Italy was the country to prosecute seismologists for failing to predict an earthquake. Looking at the scientific papers might be a way forward. Here are the Pubpeer entries for Naples. I seem to remember that the initial expose was indeed on PubPeer earlier this year? But PubPeer don’t show the dates of submission, which is frustrating. It would be useful if they added that info soon – in the longer discussions, the timing is completely lost. I saw these entries at the time and I did look at a couple of papers: it was clear that the whistleblower had revealed a systemic problem. This appears to be an unusually rapid and serious response by the authorities. Others have commented on criminalisation of science fraud. Where to draw the boundaries is surely a difficult issue but fraud in cancer research slows down development of new therapies leading to shorter life expectancy and lower quality of life. Pubpeer has now added dates to recent submissions. Other submissions lack them, but are probably earlier. telephone, plastic, piano, battery, glasses, radio, highway, microchip, helicopter, aqueduct, anesthesia, compass, journal, typewriter, combustion engine, dinamo, carburetor, electric motor, radio, radar, nitroglycerin, violin….. and so on! I don’t say that to defend this specific situation. But I really hate when someone talk about all the Italian situation without knowing it .Do not exchange the action of ONE ITALIAN MAN, with the actions of all the ITALIAN PEOPLE involved in cancer research, and research in general. Despite all the problems Italian Research and italian researchers are among the best in the world. There are a lot of young guys, and old professor that really love their work, and they do it with passion and honesty! Moreover, that are a lot of Italian researchers worldwide that make the fortune of laboratories in foreign countries! By the way, he who errs must pay the price, no question about it. But not spread this specific situation with all the Italians and Italian researchers! One should not forget about China. I know that there can be disputes about some of the others. “But I really hate when someone talk about all the Italian situation without knowing it”. A way forward is to look at the papers. The fact that the seismologists were actually taken to trial and convicted, and that the case was not laughed out of court on the first day does not allow us much faith in the Italian authorities. Not just Italy. Happened before here, with Brazil, India… but we should at a first glance focus on the research (and greatly criticize it if necessary, that is the case). J Clin Endocrinol Metab. 2012 Sep;97(9):3292-301. doi: 10.1210/jc.2012-1349. Epub 2012 Jun 22. Thyrotropin regulates thyroid cell proliferation by up-regulating miR-23b and miR-29b that target SMAD3. Leone V, D’Angelo D, Pallante P, Croce CM, Fusco A.
Istituto di Endocrinologia ed Oncologia Sperimentale del CNR (Consiglio Nazionale delle Ricerche), Dipartimento di Biologia e Patologia Cellulare e Molecolare, Facoltà di Medicina e Chirurgia di Napoli, Università degli Studi di Napoli Federico II 80131 Naples, Italy. alpha gamma tubulin panels. Please compare the bands in the 1st and 3rd panels. Istituto di Endocrinologia ed Oncologia Sperimentale del Consiglio Nazionale delle Ricerche (CNR) c/o Dipartimento di Biologia e Patologia Cellulare e Molecolare, Universita` degli Studi di Napoli, Napoli, Italy. Figure 2C. HMGA2 panel. Vertical, straight change in background between lanes 4 and 5. Quite subtle. Please compare band lanes 5 and 6 right (under HMGA2 panel) a-tubulin panel with slightly smaller, 180 degree rotation of bands lanes 2 and 3 left (under HMGA1 panel) alpha-tubulin panel. but lane 6 right alpha tubulin panel is about miR-570 and lane 2 left alpha-tubulin panel is about miR-34b. Beta-actin panel. Please compare the band lane 5 with a horizontal mirror image band lane 4. HMGA2 induces pituitary tumorigenesis by enhancing E2F1 activity. Fedele M, Visone R, De Martino I, Troncone G, Palmieri D, Battista S, Ciarmiello A, Pallante P, Arra C, Melillo RM, Helin K, Croce CM, Fusco A.
Istituto di Endocrinologia ed Oncologia Sperimentale del CNR and Dipartimento di Biologia e Patologia Cellulare e Molecolare, Università di Napoli Federico II, 80131 Naples, Italy. Figure 6C. Please compare the CDC2, TK1 and Gapdh panels. Please note that just to the right and below the centre of the bands in the left lanes there are two spots, one underneath the other. Please note that about a 1/4th the way along the top of the bands in the middle lanes and just above the bands is a spot. There is an fainter spot just above the bands in the middle lanes about 3/4ths the way along the tops of the bands. Please note that near the top middle of the right lanes there is a spot, and that just to the right of the middle of the floor of the right lanes there is a mark. Figure 6E. Please compare the CDC2 and TK1 panels. is likely not a firm foundation. Pubpeer comments for the authors of Nat. Rev. Cancer 2, 836–849. Exactly. The more we discuss issues in published papers here, the more both local and general science can improve. Fedele M, Fidanza V, Battista S, Pentimalli F, Klein-Szanto AJ, Visone R, De Martino I, Curcio A, Morisco C, Del Vecchio L, Baldassarre G, Arra C, Viglietto G, Indolfi C, Croce CM, Fusco A.
Istituto di Endocrinologia ed Oncologia Sperimentale del Consiglio Nazionale delle Ricerche c/o Dipartimento di Biologia e Patologia Cellulare e Molecolare, Università di Napoli Federico II, Italy. Figure 3A. Tubulin panel. The right 2/3rds of the bands in the left 2 lanes are very similar. For example the tag hanging off the lower surfaces of the bands. Please note the grey dot on the ceiling of the panel above the bands. It looks like it is in the same relavtive position in both lanes. Figure 6A. Gapdh panel. The bands look box-like and quite similar, including the small plumes of grey arising from their upper edges. V-pre-B panel. The bands in the middle and right lanes look similar. Pallante P, Visone R, Ferracin M, Ferraro A, Berlingieri MT, Troncone G, Chiappetta G, Liu CG, Santoro M, Negrini M, Croce CM, Fusco A.
Dipartimento di Biologia e Patologia Cellulare e Molecolare, c/o Istituto di Endocrinologia ed Oncologia Sperimentale del CNR, Facoltà di Medicina e Chirurgia, Università degli Studi di Napoli Federico II, via Pansini, 5, 80131 Naples, Italy. Figure 5B. U6 panel. Please compare bands lanes 2 and 6. Martinez Hoyos J, Fedele M, Battista S, Pentimalli F, Kruhoffer M, Arra C, Orntoft TF, Croce CM, Fusco A.
Dipartimento di Biologia e Patologia Cellulare e Molecolare e/o Istituto di Endocrinologia ed Oncologia Sperimentale del CNR, Facoltà di Medicina e Chirurgia di Napoli, Università degli Studi di Napoli “Federico II,” Naples, Italy. Figure 2A. Vsm Actin panel. Please compare the signal in the hmga1+/- and in the hmga1-/- lanes. A blog on the website of a major italian newspaper cites Retraction Watch, pointing out the good work of David Hartman and taking position against the (Italian) commenter Omnologos. It’s in Italian and my English is not so good for me to attempt a translation. Maybe some italian reader of Retraction Watch will do. Just a final note (maybe a little OT): be cautious when talking about “scientist trialled for not predicting an earthquake”. The case has been largely misrepresented in the italian press (I don’t know about the international) and it was more a case of sloppiness and negligence of the Commission of Scientist standing accused (maybe fuelled by political interests but this would need a deeper explanation, and sure it is an OT) The Commission said that an earthquake was impossible to happen. And you know, as you cannot predict an eartquake occurring you may not, as well, exclude it with the utmost certainty. I think it was actually a reply from David Hartman to Dan Zabetakis? A lot of the science funding comes from the European Union. This is my take on what Mango October 19, 2013 at 8:23 am	wrote. Nationalism has no place in science. It is not in the equations, or in the physical laws (descriptions of how things always work if you do not like the word law). The nationalist card is a distraction at best. As to the likely fraud cases. Each case as it comes. I think that Mango was in agreement with that. I just wanted to know what he meant. The first time I entered my reply it came out without the reference and ended up under a message from Dan Zabetakis. 3. The journalist behind ocasapiens has in the past searched for my comments online to write falsehoods about me on her blog -in full knowledge I’ve got no way to defend myself (in this case: I’ve never said the greenhouse effect doesn’t exist; I’ve never been libelous to Dr Michael Mann; I’ve never been a Berlusconi admirer). She’s been explained the same several times but keeps repeating what’s wrong. course you can defend yourself; why not change alias? Fusco A, Berlingieri MT, Di Fiore PP, Portella G, Grieco M, Vecchio G.
Dipartimento di Biologia e Patologia Cellulare e Molecolare, L. Califano II Facoltà di Medicina e Chirurgia, Università di Napoli, Italy. Figure 2B. Please compare the signals in lanes 4 and 6, paying attention to the bands at the 28S level. Pubpeer comments on Mol Cell Biol. 1987 Sep;7(9):3365-70. «Non tocca a me decidere, ma continuerò l’analisi. Occorre un po’ di tempo. Però non nego che la mia sensazione è che si sia trattata di un’operazione cosmetica fatta da qualche giovane bravo con il pc». “It’s not up to me to decide, I’ll continue the investigation. We need more time. I don’t deny that my first impression is that the retouching was done by some young kid who is good with PCs”. Basically – they are excusing him, and blaming some young kid in the lab. In 1985 they had this kind of computer. There was an internet before the internet, but in France. Also, one line earlier in the Corriere della Sera article. “Gli esperimenti sono stati rifatti da altri e i risultati collimano”. “The experiments were redone by others and the results coincide” sounds like the stock “confirmed by others”. Who are those others? Others have cited the work of A Fusco and then gone on to do work which is not exactly kosher. Cancer Res. 2006 Dec 15;66(24):11613-22. HMGA1 is a determinant of cellular invasiveness and in vivo metastatic potential in pancreatic adenocarcinoma. Liau SS, Jazag A, Whang EE. Department of Surgery, Brigham and Women’s Hospital, Harvard Medical School, Boston, Massachusetts 02115, USA. Figure 3A. p-Akt (Ser473 panel). Please compare the shMGA1-1 lane with the shMGA1-2 lane. Note that on the shMGA1-2 upper band there are 2 round, smooth areas. Figure 3B. p-Akt (Ser473 panel). Please compare the pIRES-HMGA1.2 lane with a horizontal mirror image of the pIRES-HMGA1.1 lane. Should be Corriere del Mezzogiorno (same media group as Corriere della Sera). By the same corresponding and senior author as Cancer Res. 2006 Dec 15;66(24):11613-22. Cancer Res. 2004 Oct 15;64(20):7439-46. Prostaglandin E2 enhances pancreatic cancer invasiveness through an Ets-1-dependent induction of matrix metalloproteinase-2. Ito H, Duxbury M, Benoit E, Clancy TE, Zinner MJ, Ashley SW, Whang EE. Department of Surgery, Brigham and Women’s Hospital, Harvard Medical School, Boston, Massachusetts, USA. Please compare the bands in lanes 2 and 3. Please compare the bands in lanes 4 and 6. Please compare the band in lane 5 to the left 2/3rds of the band in lane 4. Figure 2B. MMP-9 (top) row of bands. Please compare the bands in lanes 3,4 and 6. Please compare the zero time, 0.5, 1 and 2 hrs Ets-1and NS bands in the PANC-1 and MIAPaCa-2 panels. Note the comma shaped piece of debris to the SW of the NS bands in each panel. Note the cluster of dots about haflway up the 4 hrs lanes in both panels. Note the dots about 1/3rd the way up the zero, 1 and 2 hrs lanes of both panels. The free probe signal at the bottom of the MIAPaCa-2 is not connected by general background to the signal in the upper 4/5ths of the panel. Please compare the bands in lanes 2 and 4. Please compare the bands in lanes 3 and 6. Please compare the bands in lane 1 with the body of the band in lane 2,paying attention to the pattern of light areas within the bands. Please compare the bands in lanes 1 and 2. Please compare the bands in lanes 3,4,5 and 6. Please compare the bands in lanes 1 and 2 of the actin panel with the bands in lanes 2 and 4 of the Ets-1 panel. Please compare the bands in lanes 3,4,5 and 6 of the Ets-1 panel with the band in lane 5 of the Actin panel. Please compare the bands in lanes 4 and 8. Please compare the bands in lanes 3 and 7. Please compare the bands in lanes 1 and 5. Please compare the bands in lanes 2 and 6. Figure 2C. Ets-1panel. Please compare the bands in lanes 2 and 4. Br J Cancer. 2007 Mar 26;96(6):993-1000. Epub 2007 Mar 6. Overexpression of HMGA1 promotes anoikis resistance and constitutive Akt activation in pancreatic adenocarcinoma cells. Liau SS, Jazag A, Ito K, Whang EE. Please compare the total Akt panel in figure 3A Br J Cancer. 2007 Mar 26;96(6):993-1000.
with the total Akt panel in figure 3A Cancer Res. 2006 Dec 15;66(24):11613-22. The accompanying p-Akt(Ser473) panels are different. For reference. Cancer Res. 2006 Dec 15;66(24):11613-22. Cancer Res. 2004 Oct 15;64(20):7439-46 has found a home at Pubpeer. Another professor EE Whang gem. Retraction for J Clin Invest. 2007;117(3):693–702. doi:10.1172/JCI29852. Giovanna Maria Pierantoni, Cinzia Rinaldo, Marcella Mottolese, Anna Di Benedetto, Francesco Esposito, Silvia Soddu, and Alfredo Fusco. Citation for this retraction: J Clin Invest. 2013;123(11):4979. doi:10.1172/JCI73730. Staibano S, Ilardi G, Leone V, Luise C, Merolla F, Esposito F, Morra F, Siano M, Franco R, Fusco A, Chieffi P, Celetti A. Figure 1B. ERK1/2 panel. Please compare the bands in lanes 1 and 2, including the two grey dots over the middle of the top bands, and the grey dot between the top and bottom band in each lane. Figure 2E.CCDC6 panels. Please compare the bands in lanes 1 and 2 in the left and right panels. Celetti A, Testa D, Staibano S, Merolla F, Guarino V, Castellone MD, Iovine R, Mansueto G, Somma P, De Rosa G, Galli V, Melillo RM, Santoro M.
Istituto di Endocrinologia ed Oncologia Sperimentale del Consiglio Nazionale delle Ricerche/Dipartimento di Biologia e Patologia Cellulare e Molecolare, University of Naples Federico II, Italy. Lane 7 is smoother than the other lanes. Figure 5B. ex 2-3 CD44 panel. Please compare lanes 3 and 9. Please compare lanes 4 and 10. Please compare lanes 6 and 8. Figure 7D. Please compare the left HNEK panel with a 90 degree anti-clockwise rotation of a horizontal mirror image of the left CAL 27 panel. De Falco V, Guarino V, Malorni L, Cirafici AM, Troglio F, Erreni M, Pelicci G, Santoro M, Melillo RM. 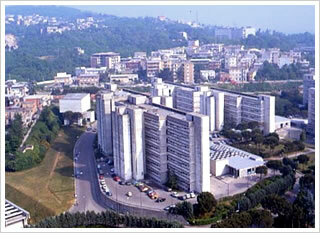 Instituto di Endocrinologia ed Oncologia Sperimentale del CNR ‘G. Salvatore’, c/o Dipartimento di Biologia e Patologia Cellulare e Molecolare, Via S. Pansini 5, 80131 Naples, Italy. Figure 2a. Coomassie st. panel. Please compare bands lanes 1 and 5. Please compare bands lanes 2 and 6. Please compare bands lanes 4 and 8. Figure 2b. Coomassie st. panel. Please compare bands lanes 2 and 5. Please compare the signal in the upper thirds of lanes 3 and 6. Pelicci G, Troglio F, Bodini A, Melillo RM, Pettirossi V, Coda L, De Giuseppe A, Santoro M, Pelicci PG. Department of Experimental Oncology, European Institute of Oncology, 20141 Milan, Italy. Figure 1D. Please compare lanes 1 and 2 of the right WB:alpha-Shc panel with a horizontal mirror image of the left WB: alpha-Shc panel. In addition to the duplication/mirror image there is also a duplication of the “empty” lanes in 1D WB:alpha-Grb2 (see the pair of dots above the latter “W”, and the same pair of dots above the letter “b”). Chiariello M, Visconti R, Carlomagno F, Melillo RM, Bucci C, de Franciscis V, Fox GM, Jing S, Coso OA, Gutkind JS, Fusco A, Santoro M.
Centro di Endocrinologia ed Oncologia Sperimentale del CNR, Dipartimento di Biologia e Patologia Cellulare e Molecolare, Facoltà di Medicina e Chirurgia, Università di Napoli Federico II, Naples, Italy. Der Spiegel, Germany, reporting on Alfredo Fusco. concerns Cell Death Differ. 2006 Sep;13(9):1554-63. Epub 2005 Dec 9. High Mobility Group A1 (HMGA1) proteins interact with p53 and inhibit its apoptotic activity. Pierantoni GM, Rinaldo C, Esposito F, Mottolese M, Soddu S, Fusco A.
Dipartimento di Biologia e Patologia Cellulare e Molecolare, Facoltà di Medicina e Chirurgia, Università degli Studi di Napoli Federico II, via S. Pansini 5, 80131 Naples, Italy. Figure 1e. Coomassie (lower) panel. the bands look like there are on their own pieces of background. Suspect that the bands in the 2nd and 4th (starting from the left) lanes are the same. Suspect that the bands in the 1s, 3rd and 5th lanes are the same. Figure 3a. Suspect that the right-most 3 lanes (hbaxprdel) lanes are the same as left-most 3 lanes (hbaxpr). The bands line up and have been shunted downwards a bit. The background beneath the lower bands in the left-most 3 lanes is much lighter than the general background. Figure 3c. The bax and GAPDH input panels are the same. The distribution of light and dark inside the bands in these panels are the same. Cell Death Differ. 2006 Sep;13(9):1554-63. Epub 2005 Dec 9. An extract from the Nature report. One already in the database. He should take a look. Eur J Cancer. 2011 Feb;47(3):470-8. doi: 10.1016/j.ejca.2010.09.045. Epub 2010 Oct 31. Expression of a truncated Hmga1b gene induces gigantism, lipomatosis and B-cell lymphomas in mice. Fedele M1, Visone R, De Martino I, Palmieri D, Valentino T, Esposito F, Klein-Szanto A, Arra C, Ciarmiello A, Croce CM, Fusco A. 1Istituto di Endocrinologia ed Oncologia Sperimentale del CNR, Università degli Studi di Napoli Federico II, 80131 Naples, Italy. i.e. shifted over 1 lane to the right. Eur J Cancer. 2007 Dec;43(18):2729-35. Epub 2007 Oct 22. 1Dipartimento di Biologia e Patologia Cellulare e Molecolare c/o Istituto di Endocrinologia ed Oncologia Sperimentale del CNR, Facoltà di Medicina e Chirurgia di Napoli, Università degli Studi di Napoli Federico II, via S.Pansini 5, 80131 Naples, Italy. Figure 4. ErB2 panel. Please compare distinctive shapes bands lanes 2 and 4. The bands are a different shade of grey.